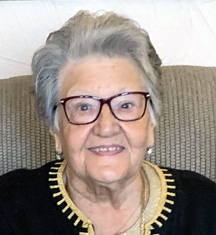 Rose (Conforti) Bonazza, 90, of Allison Park, PA, passed away Monday April 8, 2019 at Good Samaritan Hospice at Concordia in Cabot, PA. She was born July 4, 1928 in Belmonte, Calabria, Italy, daughter of the late Joseph and Domenica Conforti. Rose immigrated through Ellis Island when she was 11 years old, resided in Steubenville, OH and graduated from Steubenville High School in 1947. Throughout her adult life she lived in many locations including: Sarver, PA, Fairmont, WV and Myrtle Beach, SC. Rosehad a gift for making lifelong friends everywhere she lived. She enjoyed sharing her love through cooking for her family and friends. Some of her favorite pastimes were baking, crafting and flower arranging.